Jason Day, Peter Thomson and Minjee Lee were among a cavalcade of Australian golf names honoured by the PGA of Australia at last night’s Greg Norman Medal dinner. 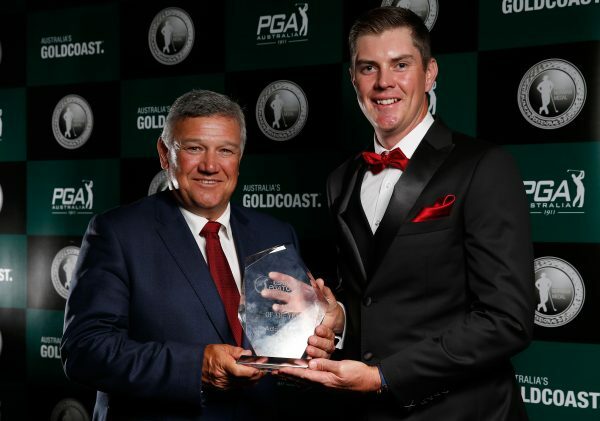 For the second year running Day was recognised with the Greg Norman Medal, as Australia’s best performing Tour Professional on the international stage. Day becomes the only recipient of the coveted award after also winning the inaugural Greg Norman Medal last year. 2016 has been another stellar year for Day who has continued to dominate world golf in 2016 emphasised by his holding the top position on the Official World Golf Rankings continuously since March. Day’s season was highlighted by three victories. 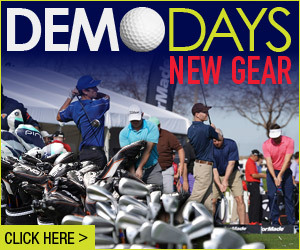 He won the Arnold Palmer Invitational and the very next week the WGC – World Match Play. Day’s third victory came four starts and just seven weeks later at THE PLAYERS Championship. In his title defence at the PGA Championship, Day finished runner-up which capped off a fantastic Major season where he finished top-10 in three of the four. Day played 20 tournaments on the PGA TOUR in 2016, making the cut in all but one for 10 top-10 finishes including his wins. While the World Number 1 took out the Greg Norman Medal he was faced with strong competition from World Number 7 Adam Scott who won twice on the PGA TOUR in 2016 after having not missed a cut all season. Flying the flag for women’s golf and a strong contender for the top honour was Minjee Lee. After proudly representing Australia at the Rio Olympics, Lee’s year was also highlighted by recording her third professional victory at the Blue Bay LPGA in China. 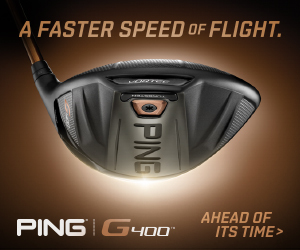 This followed a runner-up finish at the Manulife LPGA Classic in September and her second LPGA Tour win in April. Making an appearance via video link was Greg Norman who recognised the achievements of each of the nominees. 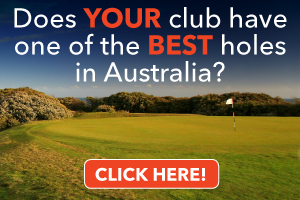 “It’s been a phenomenal year across the board for all Australian Professional golfers. The three nominees this year have done an impressive job on the golf course as well as off the golf course,” said Norman. The Australian golf industry was once again delighted to see the strong representation by our Professionals on the world stage, highlighted by Day’s Greg Norman Medal winning performance. 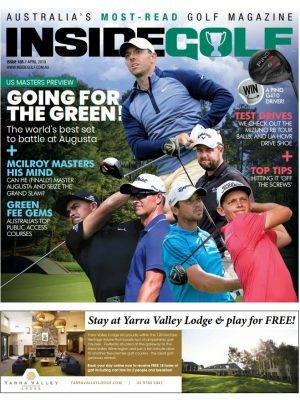 “2016 has been an excellent year for Australian golf, from players winning on all the Major tours around the world to our four representatives flying the Australian flag at the Rio Olympics. 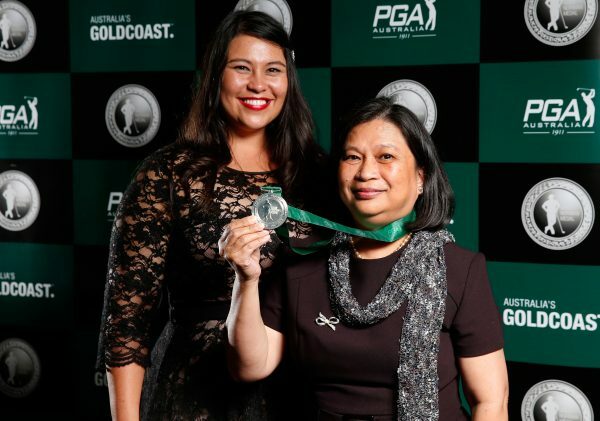 Tonight has been a night to honour them all,” said Brian Thorburn, CEO of the PGA of Australia. Day, who was unable to attend the evening, appeared via video link with his mother Dening Day accepting the award on behalf of her son. “I am incredibly honoured to win the Greg Norman Medal for the second year in a row,” said Day. “Australian golf is in a great place right now, Adam and Minjee both had excellent seasons, so to be selected again is a real privilege. 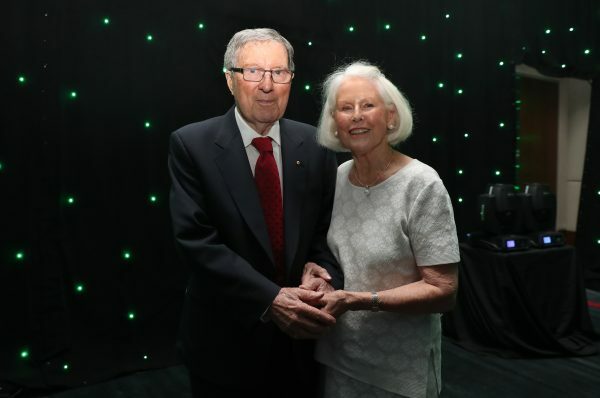 The Greg Norman Medal Dinner also saw the introduction of a new honour with a Life Member being elevated to Immortal status. The inaugural honouree was Peter Thomson, one of Australia’s all time greatest Professionals. “Am I not a lucky man! Most people have nice things said about them at their funerals when it is too late for their own enjoyment, but you’ve all jumped the gun as it were and given this lovely tribute for me to hear,” said Thomson. While his playing prowess has been strongly documented, his illustrious career featuring five Open Championship victories amongst 89 professional tournament wins has made him a household name for almost 70 years. However it is his dedication to his Association that had the greatest impact on the industry. He was Chairman of the PGA for 32 years, which remains the longest tenure in this PGA’s history. During his time Thomson was instrumental in establishing Australia’s most successful pro-amateur teams event, the Holden Scramble, which this year celebrates its 25th anniversary and 1 millionth participant. “As most know, the PGA has been a huge part of my life since I was 19 years old. “Success came slowly but sweetly and I would like to say in fairness, that I have always felt that I never worked a day in my life, such was the pleasure and challenge this wonderful game of golf provided. “To become President of the PGA in the Sixties was a huge thrill and my 32 years in that role was tremendously rewarding. At last I felt I was giving something back to an Association that had given me so much,” added Thomson. “Life has been very kind to me and I’ve much to be thankful for. “Finally, I would like to say something about the unsung heroes of our PGA. They are the men and women who run our Pro Shops at clubs and courses around our country. “They teach and toil for long hours and nurture this splendid game in the young and old who pass their way. The evening also saw members of the professional golf circuit, corporate world and golf community gather to celebrate the achievements of both Tournament and Vocational PGA Professionals. 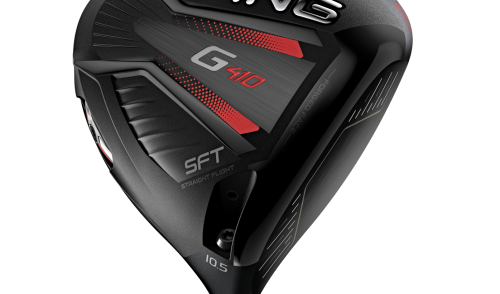 Complementing the pinnacle awards were the 2016 ISPS HANDA PGA Tour of Australasia Player of the Year, awarded to Adam Blyth, and the 2016 ALPG Player of the Year, which was awarded to Stacey Keating. 35-year-old Blyth, from Queensland, got his season off to a hot start leading the Oates Vic Open into the final round. A tough fourth round dropped him down the leaderboard but it proved the perfect learning experience to launch a very successful season. Blyth recorded his first win on the ISPS HANDA PGA Tour of Australasia this September at the South Pacific Open Championship in New Caledonia. Just three starts later, he quickly added a second victory at the NSW Open, in a hard fought fourth round. Adam has played 12 tournaments this season making the cut nine times. 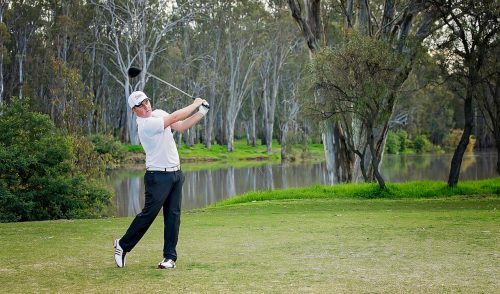 2016 was a strong year for Keating winning four times on the ALPG tour, including the Anita Boon Pro-Am, the Bing Lee Oatlands Pro-Am, Brisbane International and BWAC Yamba Pro-Am. These finishes resulted in her winning the ALPG Club Car Series. 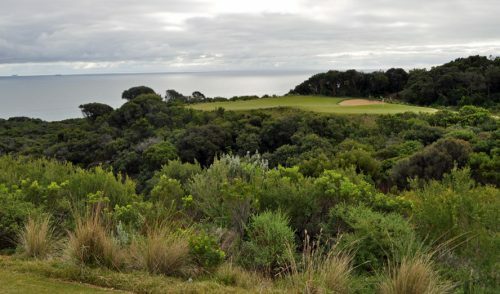 The 30-year-old Victorian also finished second on the ALPG Order of Merit in 2016. Keating’s performance also stretched across waters with strong finishes on the Ladies European Tour in the Tipsport Masters (T2) and World Ladies Championship in China (T19). Head Professionals at Charlestown Golf Club, husband and wife duo Ryan and Janelle Smith received the honour of being recognised as the 2016 PGA National Club Professional of the Year. Continually looking at ways to develop their Club they focus strongly on servicing their Club members to the best of their collective abilities on a daily basis. One of their main goals was to gradually have members become more involved with club activities, in particular ladies events and the club’s successful junior program. During the year, their communication to members and staff has been beneficial to the club through newsletters, promotions and social media. Dedicated to their ongoing professional development they also ran a highly successful Holden Scramble in 2016. Taking out the 2016 PGA National Teaching Professional of the Year award was Richard Woodhouse the renowned Director of Instruction at the recently opened KDV-Sport Academy of Golf in Queensland, where he works successfully with both amateur golfers and Tournament Professionals. After winning his first Queensland Teaching Professional of the Year award in 2013, Woodhouse also received the honour in 2015. Amongst his best students are two PGA TOUR China players, James Gibellini and Daniel Nisbet, who recently won the Clearwater Bay Open, in addition to coaching success with a number of South Korean female professionals. Also amongst his passions is the coaching of PGA Trainee Professionals and in 2015 he assisted Rick Coleman significantly, leading to Coleman being awarded the PGA 2015 National Trainee of the Year. Woodhouse always strives for self development through continuing education and also writes for various publications, such as Inside Golf and Golf Australia Magazine, where he composed a series of eight months of instructional articles. The Greg Norman Medal Dinner, which is proudly supported by the City of Gold Coast, tees off the PGA’s flagship tournament, the Australian PGA Championship, at RACV Royal Pines Resort on the Gold Coast from 1-4 December.